Jupiter is twice as heavy as all the other planets put together! Jupiter has no surface for spacecraft to land because it is made mostly of hydrogen and helium gas. 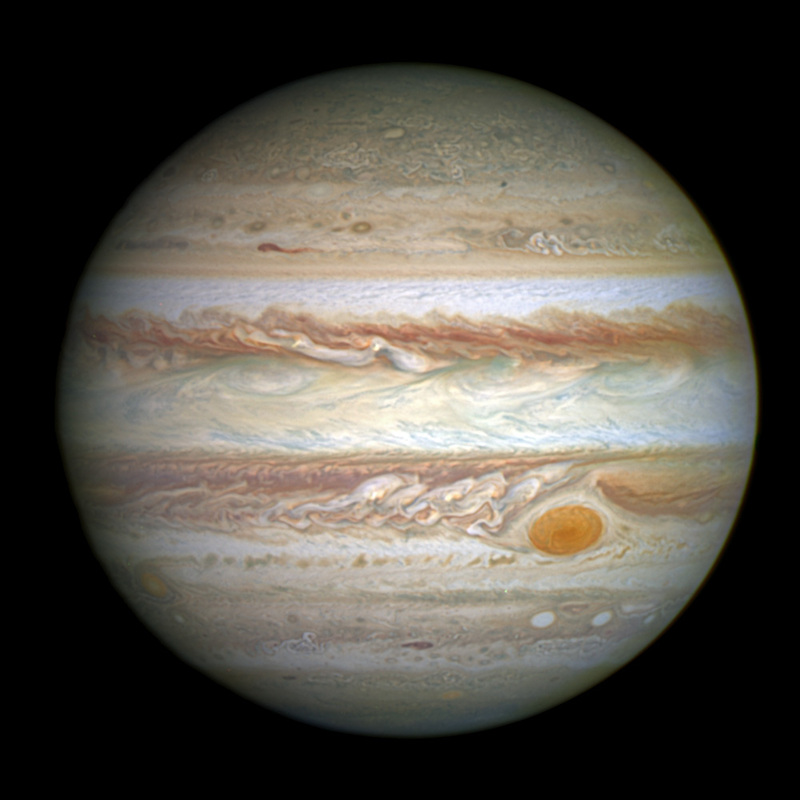 the massive pull of Jupiter’s gravity squeezes the hydrogen gas so hard to become a liquid. towards Jupiter’s core – extremely pressure makes the liquid hydrogen gas behave like a metal. spins around in less than 10 hours, which means that the surface is moving at nearly 31,000 mph. Jupiter’s magnetic field; 10 times stronger than the Earth’s magnetic field! Jupiter has a Great Red Spot (GRS) – huge swril of red clouds; measuring more than 25,000 miles. Jupiter is so big that pressure at its core makes it very hot – the planet gives out heat, but not enough to make it glow, if it were 100 times bigger, nuclear reactions would happen at Jupiter’s core to turn it into a star. Back to The Solar System page / Next page to Jupiter’s Galilean moons’ page.